There’s nothing more Canadian that hitting the open road with the windows down, the music up, and a decent map just in case the sat nav packs up. To inspire you, we’ve hand-picked our top 10 most Insta-cool drives in this big and beautiful country. 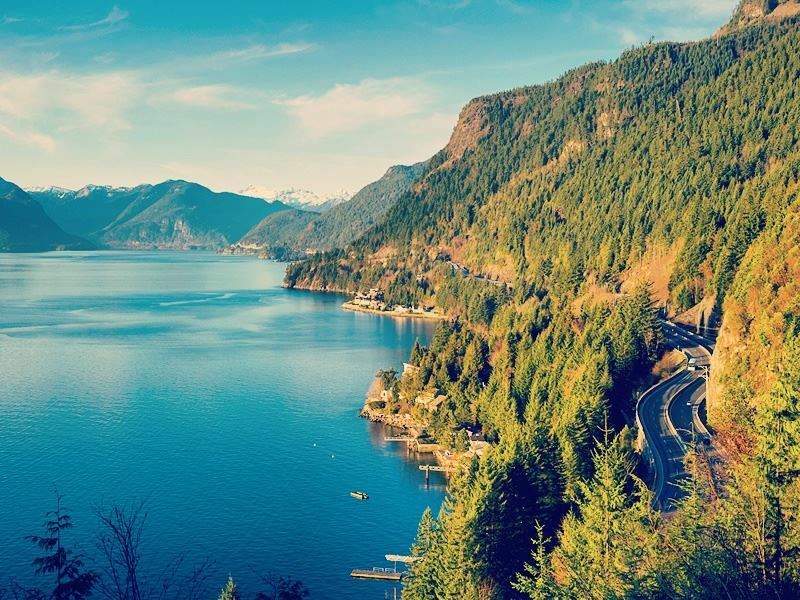 Where: Officially known as Highway 99, this iconic and winding road starts begins in the seaside village of Horseshoe Bay near Vancouver and ends at the junction with Highway 97 near Cache Creek. The 254-mile journey takes approximately two hours. What: Built as a two-lane road during the 1960's in a bid to develop tourism around Whistler Mountain, this historic highway enjoyed a multi-million dollar facelift prior to the 2010 Winter Olympics. Nowadays, drivers can look forward to four-lane divided sections with wider hard shoulders and also enjoy continuous views of the Coast Mountains, glistening ocean, gushing waterfalls, lush green forests, brilliant white glaciers, and dizzying suspension bridges. The best bits: Watching the dramatic 230-foot-high Brandywine Falls from the viewing platform, marvelling at the Lynn Canyon Suspension Bridge, and climbing up the creek bed to the base of Shannon Falls - the third tallest waterfall in British Columbia. Equally worthy of your attention is windsurfing and mountain biking in the old mill town of Squamish, hitting the hiking trails at Lions Bay, and riding the 2,904-foot-high Sea to Sky Gondola for cracking views across Howe Sound - North America's southernmost fjord that’s sprinkled with stunning islands. Where: As the world’s longest national road, the Trans-Canada Highway spans 4,860 miles and connects all 10 provinces from the Pacific to the Atlantic. The journey from Revelstoke in British Columbia to Lake Louise in Alberta takes two-and-a-half hours, depending on road conditions. What: This coast-to-coast trail crosses four islands and passes through national parks, prairies, glaciers, green forests, cattle ranches, mighty peaks, and a fair few lakes. Just be sure to brace yourself for the narrow, steep and winding sections of road that are especially challenging during the winter and keep your eyes peeled for bears around Lake Louise - the dazzling emerald-green alpine lake in the heart of Banff National Park. The best bits: Riding the Lake Louise Gondola for cracking views of the Victoria Glacier and getting stuck into grizzly bear spotting, snowshoeing, snowmobiling, dog sledging, ands skiing. Further thrills include overnight camping at Revelstoke’s Canyon Hot Springs, hiking in Glacier National Park, and visiting Rogers Pass National Historic Site - the replica of a historic railway snowshed where you can learn about the triumphs and tragedies behind the building of Canada’s first trans-continental railway. Where: The rugged Canadian Badlands are criss-crossed by dead straight back roads that descend into ancient valleys. 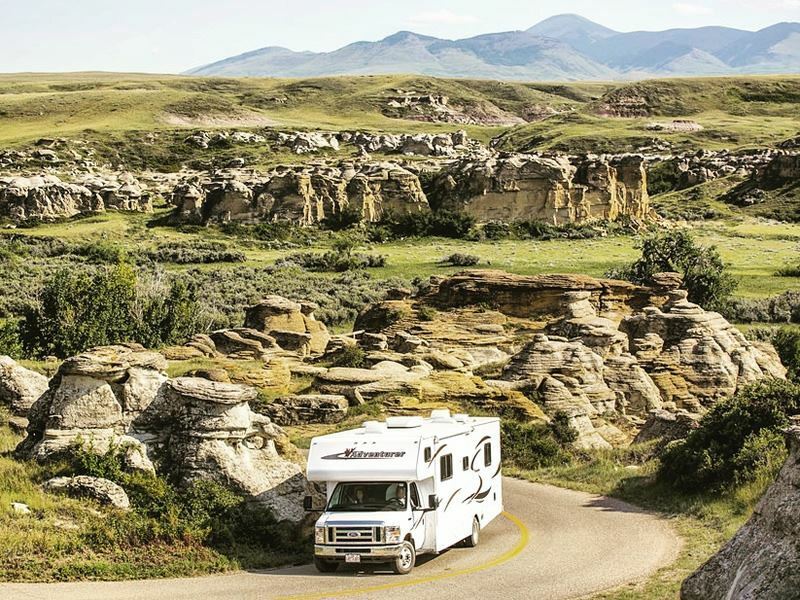 Jurassic-sized adventure is guaranteed for drivers throughout, but mostly at UNESCO’s Dinosaur Provincial Park that’s two-and-a-half hours southeast of Calgary. What: Nothing on the planet comes close to this 35,000-square-mile region for unique coulee landscapes, hoodoo rock formations, and a staggering amount of coal and dinosaur bones that were discovered in the late 1800's. Most appealing for motorists is taking the public scenic loop road to the dedicated Badlands Trail - the intriguing 1.4-kilometre self-guided walk that includes climbing around sandstone ridges and through areas of bentonite clay. The best bits: Marvelling at 80,000-plus specimens and 35 complete dinosaur skeletons at the Royal Tyrrell Museum of Palaeontology in Drumheller, hitting the Hoodoo Drive Trail for historic mining towns like East Coulee and Rosebud, and taking a behind-the-scenes guided tour to an active dig site to hunt for real dinosaur bones. Don’t miss a visit to Drumheller’s Little Church - a tiny building built in 1968 that can only fit six worshipers and one minister at a time. 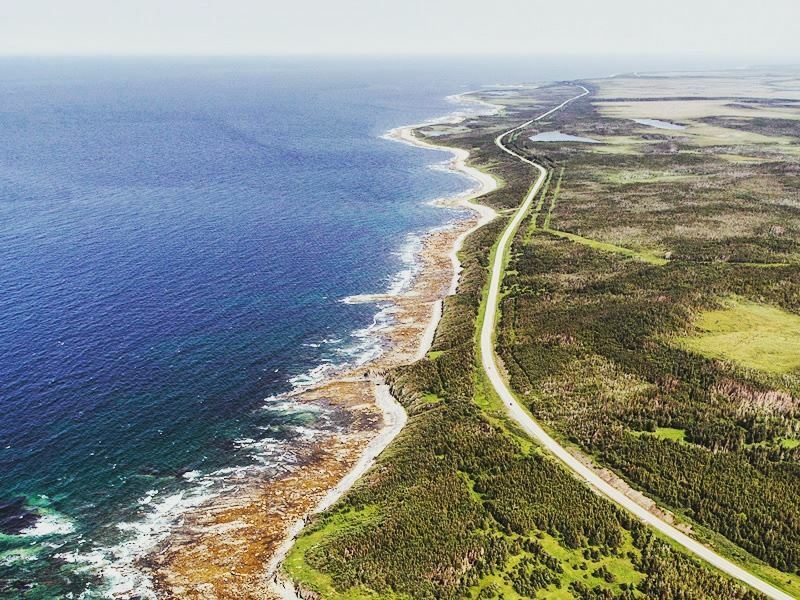 Where: The largest themed highway in Newfoundland, the 489-kilometre Viking Trail is the only route to the UNESCO World Heritage sites at Gros Morne National Park of Canada and L'Anse aux Meadows National Historic Site of Canada. Driving the road end-to-end takes five hours. What: There’s historical sites, monuments and museums along the way, all of which illustrate Newfoundland’s aboriginal peoples and their cultures. These include the Maritime Archaic and Dorset Indians (Port au Choix), the Vikings (L’Anse aux Meadows), and the Basque Whalers (Red Bay). Also noteworthy are the views; expect to see fjords, wooded valleys, glaciers, waterfalls, rugged cliffs, sand dunes, and beautiful fields of wildflowers. The best bits: Hiking to the top of Gros Morne Mountain, taking an afternoon boat trip up the fjord at Western Brook Pond, and visiting Labrador’s Red Bay - the fishing village that was home to over 1,500 Basque whalers during the 1540's. Most fascinating is the UNESCO-listed L'Anse aux Meadows National Historic Site of Canada - the very spot where Norse sailors first settled in North America that’s now the only authenticated Viking settlement in the Western Hemisphere. Where: Passing through the southern section of Algonquin Park, Highway 60 is the best access route for Ontario’s huge outdoor playground. So as not to confuse drivers, the Corridor is clearly signposted with kilometre markings from the West Gate to the East Gate. What: For those keen to get back to nature, there’s no shortage of views along the way. Expect wildlife sighting spots, campsites, interpretive walking trails, picnic areas, restaurants, museums, and beaches galore - as well as plenty of places to park your car. To learn more about the park’s wildlife, history and geology, the Algonquin Park Visitors Centre at Kilometre 43 is a great starting point for exploring this 3,000-square-mile wilderness. The best bits: Rolling up at any of the 1,900- campsites to set up your tent, taking an off-grid back-country canoeing trip, and getting up close with some incredible wildlife (130-plus types of breeding birds, bears, wolves, moose, beavers, hares, moles, chipmunks, shrews, skunks, and more). Depending on the season, mountain biking, dog sledding, fishing, cross-country skiing, snowmobiling, swimming, snowshoe hikes, and stand-up paddle excursions are available. Where: Linking Baie-Saint-Paul to La Malbaie via Route 362, this 36-mile-long road that follows the St. Lawrence River in the Charlevoix region is the top-ranked drive in Québec. What it lacks in length, it makes up for with sweeping vistas and off-the-scale scenic highlights. 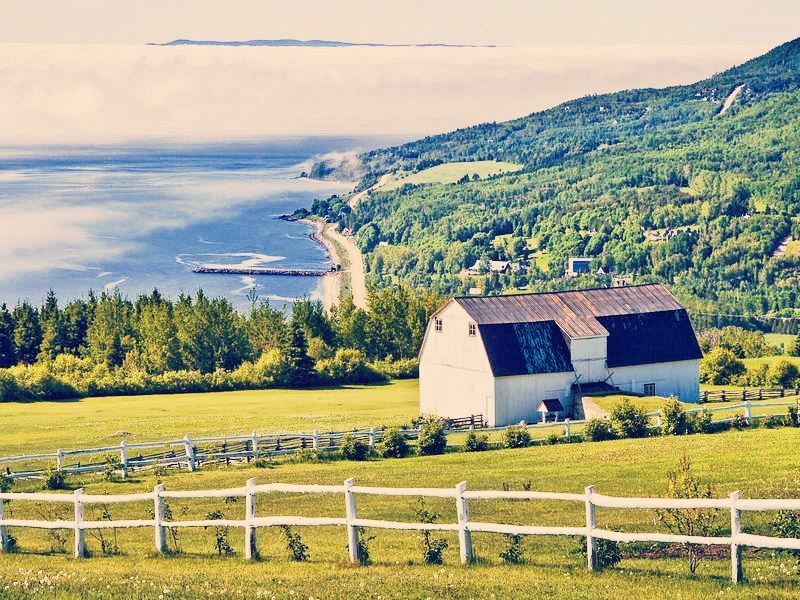 What: This rewarding journey takes in the picturesque villages of Les Éboulements and Saint-Irénée en route to the elegant resort town of La Malbaie. Be sure to do as many little side trips along the way as time allows, giving priority to the region’s highly-acclaimed art museums, craft shops, beaches, gourmet restaurants, and microbrew pubs. The best bits: Gazing at the St Lawrence and Gouffre Rivers as they flow in and out of Baie St-Paul, lazing on Saint-Irénée’s lovely sandy beach, and skiing on the snow-covered slopes of Mont Grand-Fonds at La Malbaie. Outdoorsy types will want to hike, whale-watch and explore the picture-perfect ribbon of valleys and hillsides in the summer - or enjoy snowmobiling, ice fishing, dog sledding and snowshoeing during the winter. 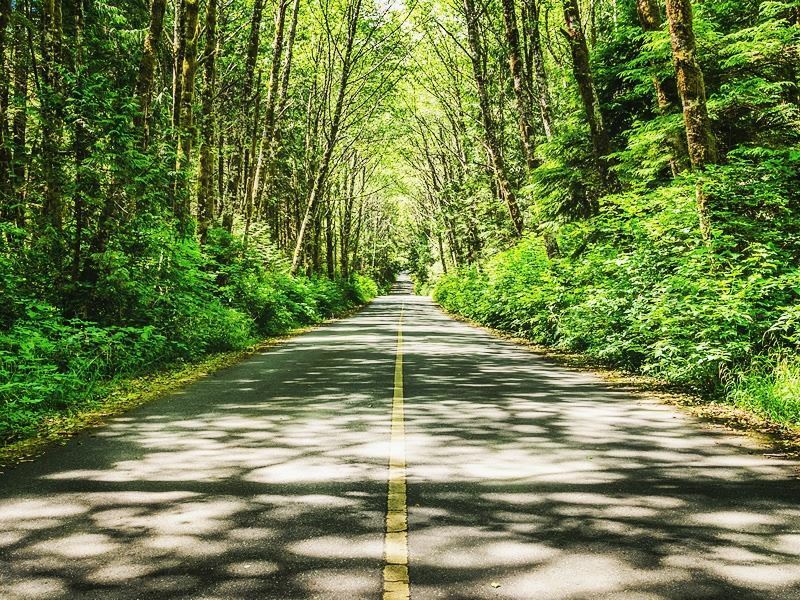 Where: Set on Canada’s far left coast, the Pacific Rim Highway is the fabled single-lane road that passes through Port Alberni, Tofino, and the surfing beaches and dense coastal rainforest of the Pacific Rim National Park Reserve. What: The 90-minute drive from Port Alberni and Tofino is challenging but manageable. Expect narrow sections and a great deal of twists and turns. Not-to-be-missed stops include Kennedy Lake River for mountains and waterfalls, Kennedy Lake Provincial Park for lake and beach-based thrills, and Ucluelet’s Wild Pacific Trail for a rocky coastline marked by thundering waves. The best bits: Riding the restored Alberni Valley Railway steam train that departs from 1912 CPR Station, marvelling at the historic steam-powered sawmill in action at the McLean Mill National Historic Site in Port Alberni, and discovering wonderful marine life at Ucluelet Aquarium. Culture lovers will enjoy paddling a 25-foot dugout canoe with a Nuu-chah-nulth guide in Tofino. Where: Running along the entire southern shore of New Brunswick, the 243-mile-long Fundy Coastal Drive extends from the Canada/US border crossing at St. Stephen to the town of Aulac near the New Brunswick/Nova Scotia border. 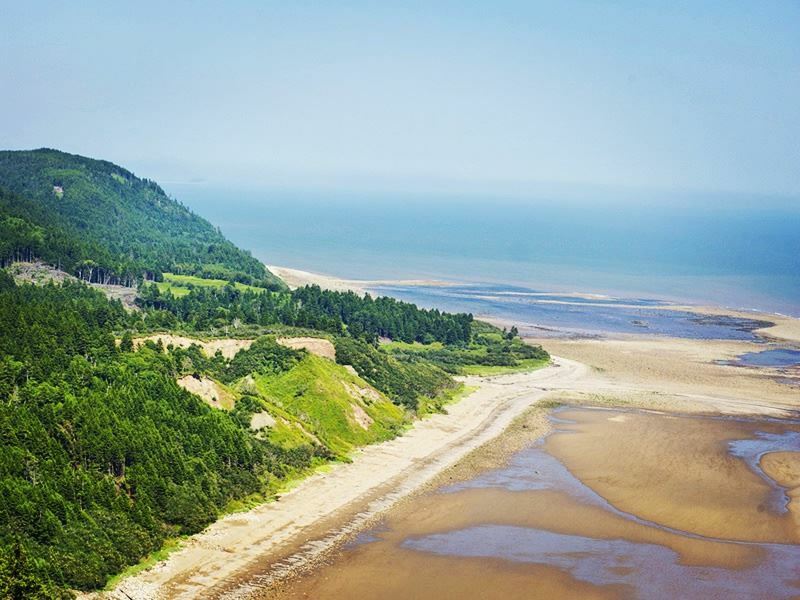 What: Filled twice-daily by some of the highest tides on the planet, the phenomenal Bay of Fundy on the Atlantic Coast is the obvious show-stopper. And the lighthouses, forests, wetlands, lookouts, foothpaths, picnic spots, beaches, towns and villages that dot the landscape of this coastal wilderness aren’t bad either. The best bits: Visiting the museums and farmers’ markets in Saint John, braving the Reversing Falls Zip Line that overlooks the Reversing Falls, and enjoying watery thrills at Moncton’s Magic Mountain Water Theme Park. Further highlights include shopping at the oversized mall in Dieppe, spotting migrating birds at Waterfowl Park, marvelling at the 25-plus waterfalls at Fundy National Park, and whale-watching in the historic St. Andrews-by-the-Sea. 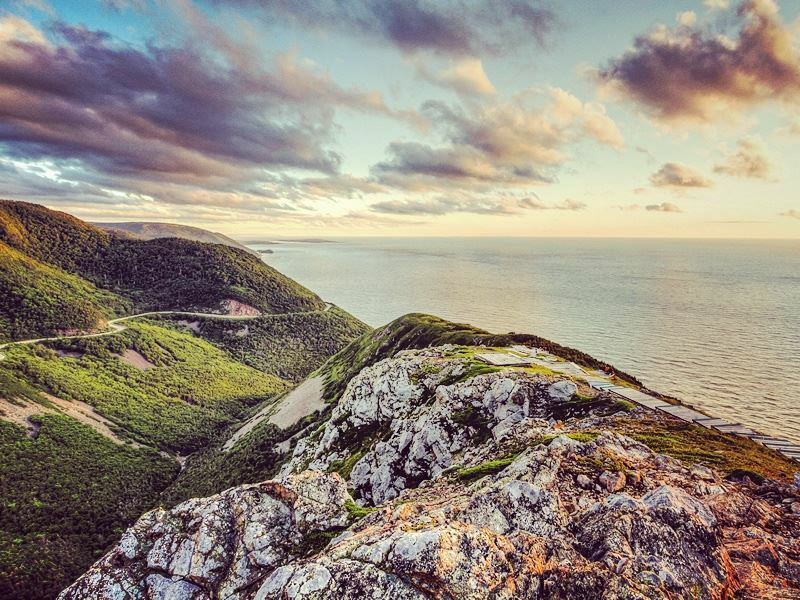 Where: Lopping around a sizeable chunk of the island and passing through the Cape Breton Highlands National Park at its northernmost point, the 185-mile-long Cabot Trail takes you along some of the best off-the-beaten-track trails and coast-hugging fishing villages. What: It comes as no surprise that this scenic roadway is touted as one of the world’s best drives. But what gets the most attention are the cliff-top vistas of the serene lakes, deep-cut river valleys, and glistening ocean. 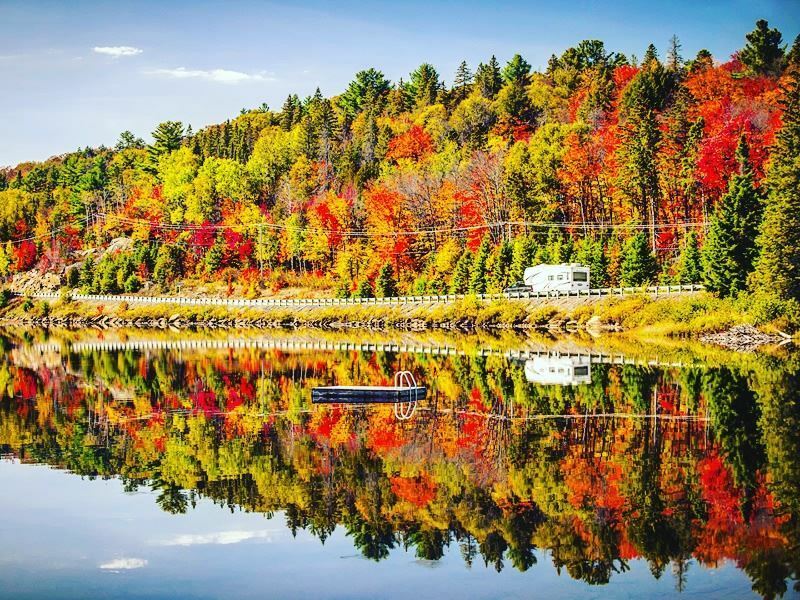 The best start and end point for motorists is the little village of Baddeck in the heart of Cape Breton Island. The best bits: Staking out moose, black bears, coyote, Canada lynx and bald eagles at Cape Breton Highlands National Park, teeing off at the Highlands Links golf course, and taking time to swim, fish, horse ride, and scuba dive. Further highlights include sampling the region’s famous lobster and crab dishes, visiting Peggy’s Point Lighthouse at Peggy’s Cove, and touring the Whisky Warehouse at Glenora Distillery - the fabled home of Canada’s only single malt whiskey. 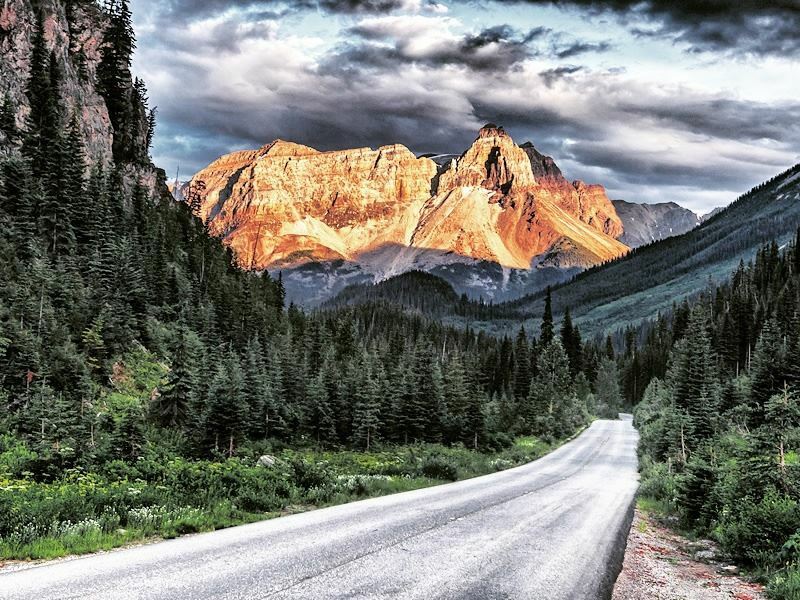 Where: Winding a modest 143 miles through the heart of Banff and Jasper National Parks, the Icelands Parkway (also known as Highway 93 N) is one of the most scenic drives on Earth. 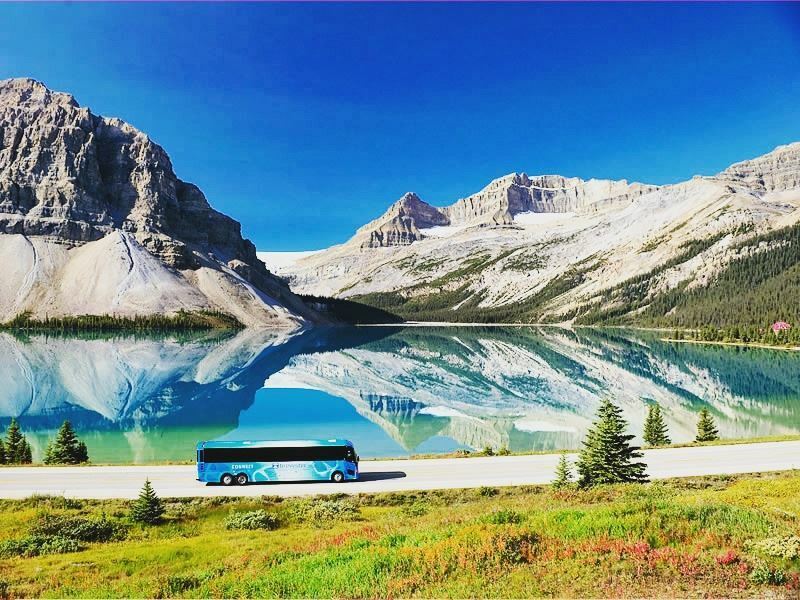 Linking Lake Louise with Jasper, the journey takes three hours - not accounting for any stops. What: Punctuated by sparkling glaciers, lush meadows, cascading waterfalls, pristine lakes, limestone cliffs and the snow-topped peaks of the Canadian Rockies, the views are knockout. Sightings of elk, moose, mule deer, bighorn sheep, mountain goat, black bear and coyote are a given, but drivers may also be lucky enough to spot grizzly bears, wolves, caribou, and lynx. 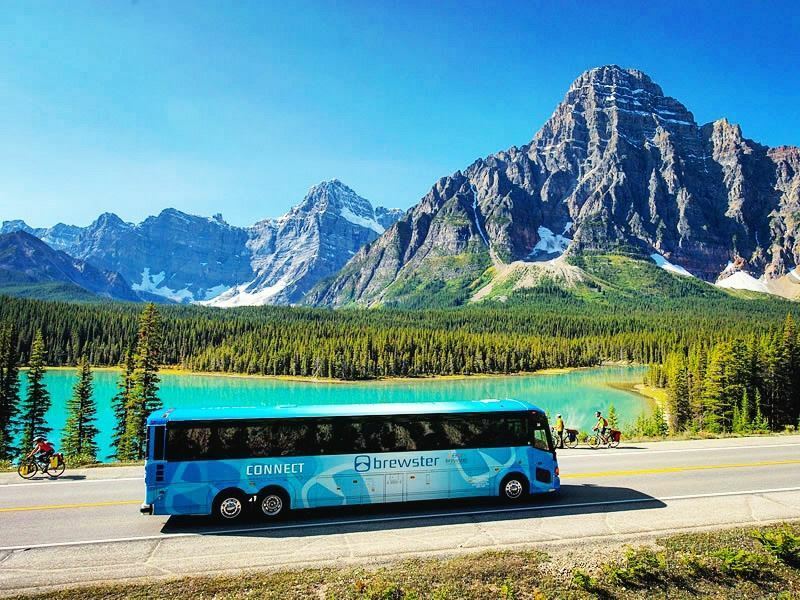 The best bits: Visiting Herbert Lake at sunrise or sunset to photograph Mount Temple, hiking to the bottom of Panther Falls, and taking the 14-minute ride on the Lake Louise Gondola for the best-ever views of alpine wildflowers, dramatic glaciers and bubbling springs. Further outdoor pursuits include ice skating beneath the towering gaze of the Victoria Glacier and marvelling the 125-mile-square Columbia Icefield - the Rockies' most spectacular alpine swathe.